Veteran Jesse Dunnagan "It was like an inferno. I couldn't believe it. It was a nightmare." Back in 1991, I had the honor of photographing Jesse Dunnagan, survivor of the Japanese attack on Pearl Harbor on the 60th anniversary. "It was like an inferno. I couldn't believe it. It was a nightmare." said Dunnagan. He was serving as gun director on the broadside guns of the USS California when the ship was bombed. The next day he swam back to the wreck to retrieve his belongings and pulled out his scrapbook of photographs. Dunnagan passed away this month at 92. He served in the Navy for 30 years and in three wars, WWII, Korea and Vietnam. Click here for his obituary. Click here for his first hand account in the Library of Congress. Let us not forget the real reason why there is a memorial day weekend. 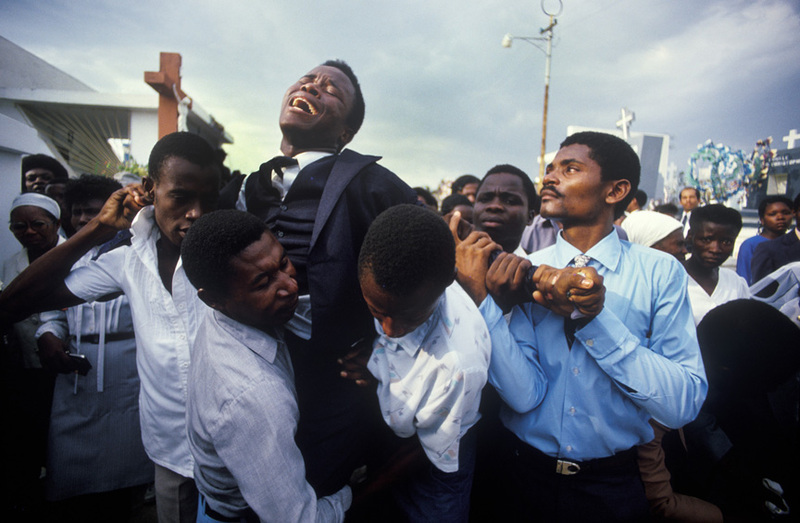 Award-winning National Geographic photographer and Leica Medal of Excellence recipient Maggie Steber will be presenting a collection of her photographs from Haiti at the Leica Store Miami gallery. Her upcoming show, The Audacity of Beauty, not only documents the political and social upheaval within the country, but also the beauty of the Haitian people and her 25-year relationship with them. Join us for the opening on Thursday, June 6th, as Maggie shares her experiences, insights and stories behind the photographs. Labels: Coral Gables, Haiti, Leica, Leica Store, Maggie Steber, The Audacity of Beauty.